Now that you've found a crossover with as much style and personality as you have, you need to decide which of the 2018 Toyota C-HR trim packages meet the demands of your busy lifestyle. From unparalleled safety systems and the latest technology features, to flashy design details and luxury touches, the all-new 2018 C-HR, available at Toyota of Braintree, will turn heads everywhere you go. Begin your journey by browsing our 2018 Toyota C-HR inventory for color and trim package availability at our Toyota dealership in Braintree, MA. Don't forget to check out our Toyota incentives and lease specials to see if you qualify for our current offers. 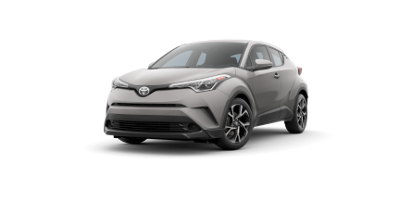 There are two bold 2018 Toyota C-HR available trims to choose from: the XLE and XLE Premium. Both boast edgy body styling and unique color options, as well as Toyota's coveted safety systems. The vortex-styled 18-in. Sport alloy wheels of the XLE trim level contribute to the modern yet refined style of the 2018 C-HR. If you're looking for truly innovative features, the puddle lights with "Toyota C-HR" projection of the XLE Premium trim level creates a distinctive look never seen before. Experience the daring 2018 Toyota C-HR for yourself by scheduling a test drive at our Toyota dealership in Braintree, MA. If you have any questions regarding trim availability or would like to speak directly with one of our product specialists, give the Toyota of Braintree team a call at (708) 429-3900 or fill out our contact form.